For quality outdoor clothing, shop Working Person’s Store for your favorite Eddie Bauer products. This signature clothing and accessory line is one that has been appreciated by people all over the world since 1920. Over the years, the Eddie Bauer has become well known for their superior outdoor clothing products, accessories and equipment, including world class mountaineering gear. With a keen interest and appreciation for the outdoors, Eddie Bauer remains the cornerstone of the business today. An expert in innovative design, Eddie Bauer continues to offer premium items to those who also share an interest and appreciation for outdoor clothing and accessories. When you shop for Eddie Bauer products, you will find a wide selection of products all made with the same quality and comfort in mind to meet the needs of the wearer perfectly. Eddie Bauer doesn’t skimp on the way they make their products. They assure that the best materials and craftsmanship go into the process of design and development before the product hits the stores. 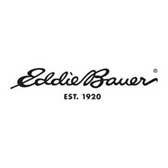 If you want quality, comfort, durability all with a touch of style choose Eddie Bauer from Working Person’s Store.